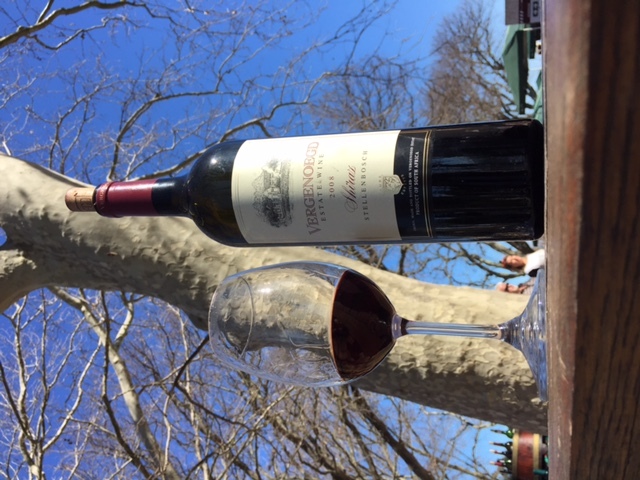 Wine farm 71 of 800 is Vergenoegd wine estate in the Stellenbosch Wine Routes. What makes this farm totally unique are their Duck Parades! At certain times of the day, you can watch more than 800 Indian Runner Ducks parade past the restaurant. It is an absolute MUST for kids and families. I would definitely recommend going on a Saturday when the kid-friendly market runs. Enjoy wine, beer, food, live entertainment and jumping castles. BOOKINGS: I always recommend bookings! Especially for the restaurant. But if you want to visit the market and do a wine tasting on a Saturday, then there is no need to book. Arrive early though around 10h30. WINE TASTING: There are various options available. 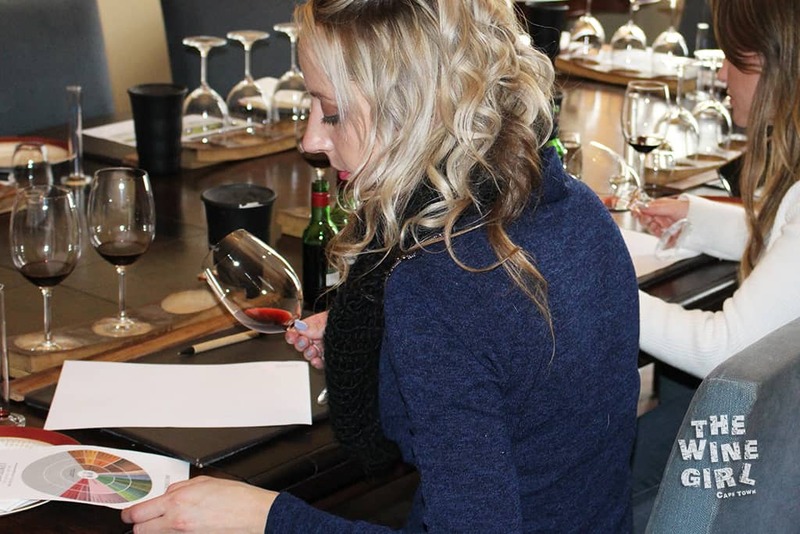 Choose from a tasting of 5 wines for R50, Olive Oil Blending, Tea Blending, coffee blending and even a wine blending experience. WHEN TO GO: Great for any season although probably best on a sunny day when it is not raining. SERVICE: Extremely friendly and knowledable. RESTAURANT: The restaurant has the most amazing picnic style menu. Totally scrumptious, hearty dishes and even options for the kids. Take a look at the Vergenoegd restaurant menu. 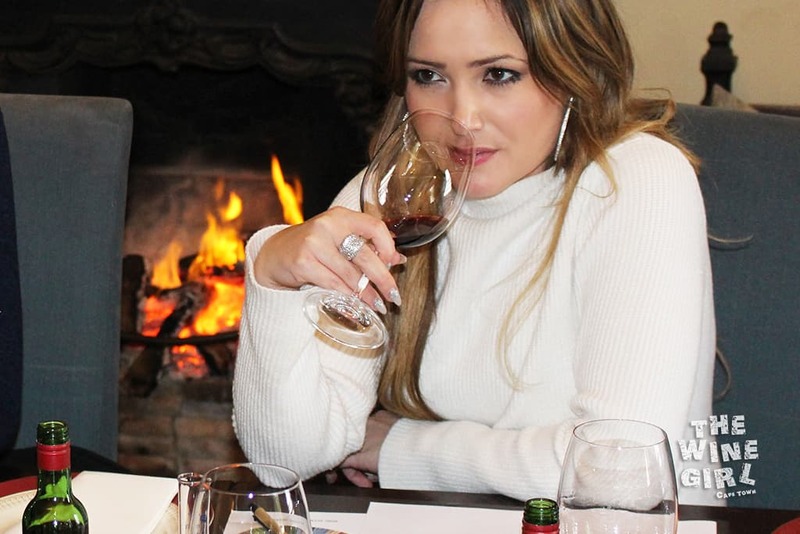 There is a three course lunch option for R325 per person – and believe me, you will be rolling out of the restaurant 🙂 Ask for a wine tasting whilst you are enjoying your meal. CHILD/PET FRIENDLY? Yes, definitely! Keep your dog on a leash though as we don’t want them attacking the ducks. LOCATION: About a 30 minute drive from Cape Town in Stellenbosch. Vergenoegd Wine Estate Google Map. OTHER RATINGS: Learn what others have rated on Trip Advisor by reading the Vergenoegd Trip Advisor Review Page. I visited on two occassions. One on a sunny and one on a cloudy day. The farm is located just off the N2 highway and there is a long gravel road to get to the estate. It feels like you are travelling to no where. Though once you get there, you will drive past a security gate, beautiful lake and arrive at plenty of parking space. 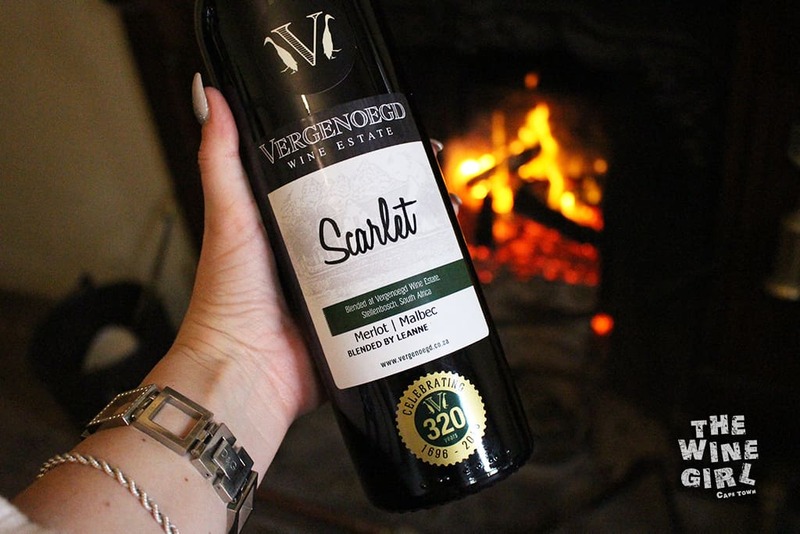 The farm was founded way back in 1696 and was given the name Vergenoegd which means “content”. In 1773, the manor house received some renovations and the name of the farm was incorrectly spelled on the gable as “Vergenoegt” with a “t”. You can still see it to this day. Oh, and the manor house is believed to be haunted by a lady in a white dress. Spooky. So why all these ducks? 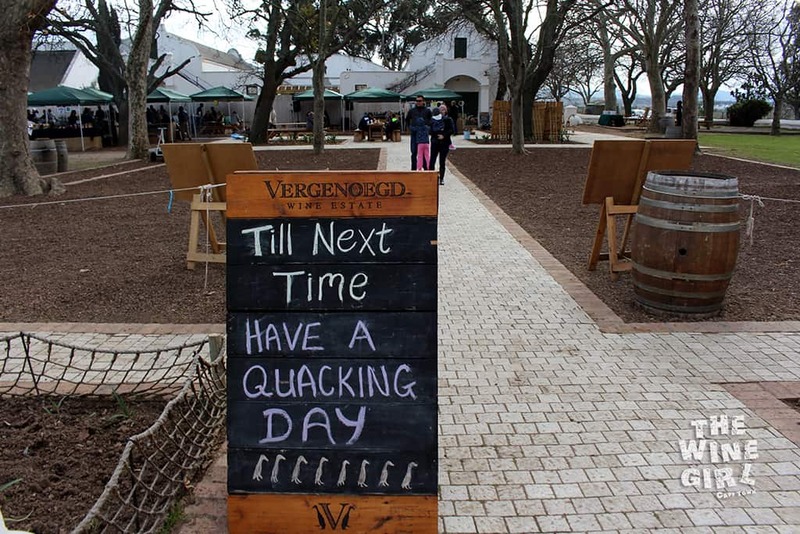 Well they are certainly not just for the kids 🙂 Vergenoegd has a very unique, Integrated Pest Management and Duck Research Program. Together with more than 800 Indian Runner Ducks, they are able to eliminate slugs and bugs from the vineyards without the use of harsh chemicals. 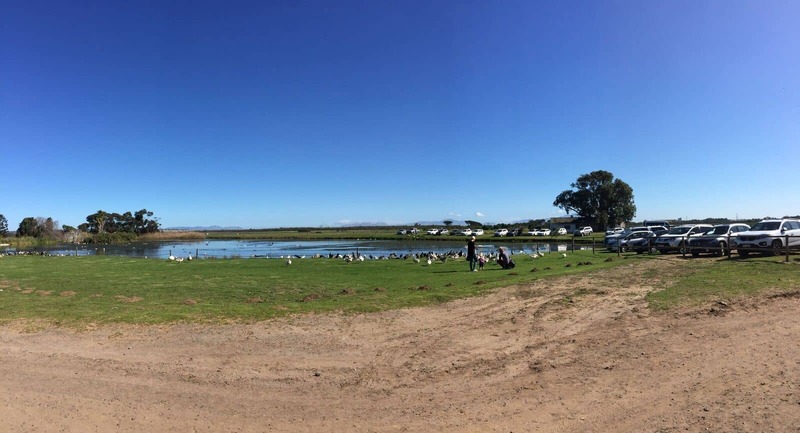 Plus they have a Vergenoegd waterbird habitat and water conservation Project. This was such an incredible experience! 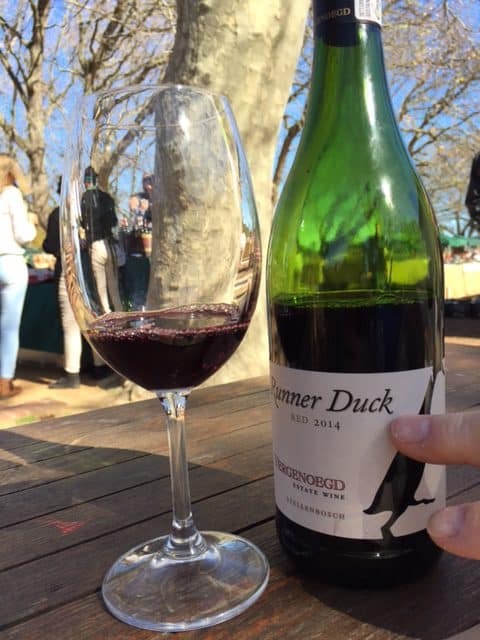 After the duck parade at 12h30, I enjoyed a wine tasting and 3-course lunch at the restaurant right in front of a massive fire place. The wine tasting is R50 for five wines and the lunch menu R325 per person. The lunch menu changes from time to time depending on the seasons and availability of fresh produce. I absolutely loved the beef cheek and pork belly. This is real country style, fine dining. Afterwards I enjoyed a wine blending experience. 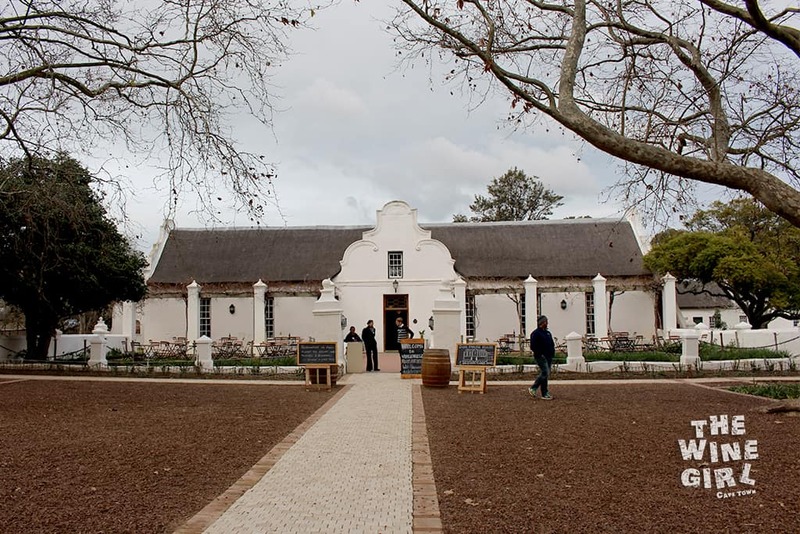 It’s R200 pp which is quite expensive but it includes a guided demonstration and a personally labelled 750ml bottle of your blended wine that you can take home. the smell, and finally the taste. You will go through Cab Sauv, Merlot, Shiraz, Malbec and Cab Franc to create your perfect blend. This is definitely a red wine farm. They produce some excellent Cab Sauv and Shiraz wines. 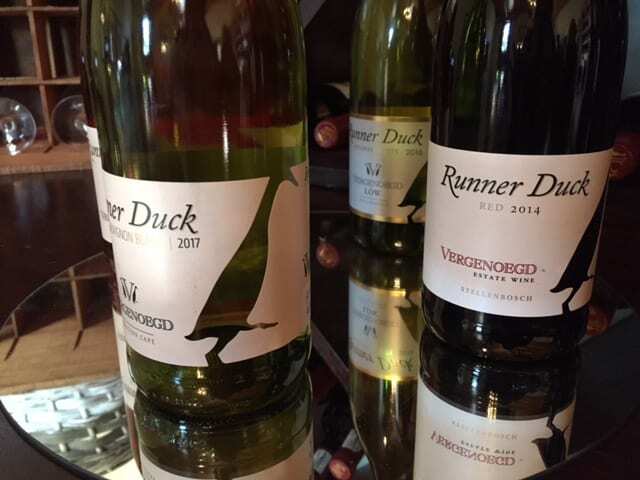 Plus, how cute is the runner duck range’s label? 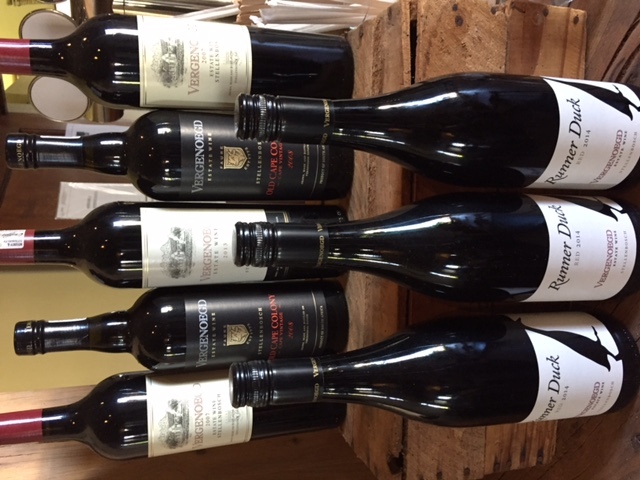 Its only R75 at the cellar door and will certainly has great table appeal. The red was a 2014 and really smooth. Definitely a great wine for everyday drinking if you prefer a more rounded red that has good fruit and spice balance. If you have time, you should try the tea, coffee and olive oil blending experiences. Bookings are definitely a must and you can book directly on their website. And don’t forget about the market every Saturday.